Each Friday, DCH performers, teachers, and students offer their recommendations for what to watch, read, see, hear, or experience. This week David Allison dusts off an unappreciated gem, Jonda Robinson lets pictures doing the talking, Amanda Hahn crunches numbers, and Ryan Callahan laughs inappropriately. It’s very common for performers to become under appreciated as time marches on. Icons to the people that lived through their reign only to be forgotten (Or even worse, remembered for a stupid project that they simply did for the money) by the rest. One of the best examples of this sort of figure is Chris Elliott. Most comedians have heard the name and could probably pick his face out of a lineup, but in no way does he get the credit he deserves. Some of the best examples of his work would be Get a Life, Eaglehart, and his guest spots on Letterman. But there’s a sad chance that you don’t have a spare week of your life to watch all of that, so I’m going to recommend that you check out one of his strangest projects that just happens to be my favorite. This week, I’m loving Chris Elliot’s FDR: A One Man Show. Yesterday I had the chance to explore the Art Institute of Chicago. Now, I don’t know a ton about art, but one of the beautiful things about it is that you don’t have to have a thorough knowledge of it, or the ability to create it, to enjoy and appreciate it. There were many pieces that I was excited to see up close and in person: Georges Sauret’s A Sunday on La Grande Jatte--1884, Gustave Caillebotte’s Paris Street; Rainy Day, and one that has always interested me, Grant Wood’s American Gothic. 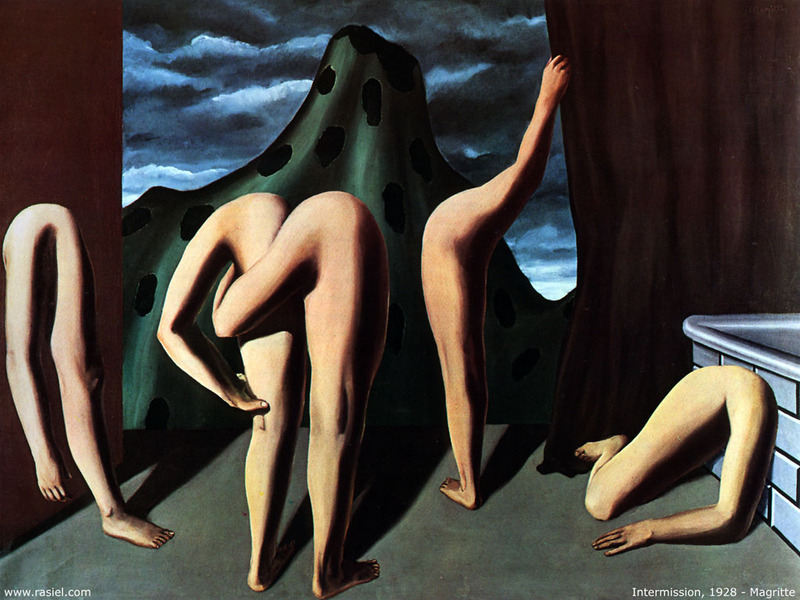 It was the visiting exhibit, Magritte: The Mystery of the Ordinary, 1926-1938, that really captivated me, though. I entered it not really knowing what to expect, other than that he was the guy who did the interesting self-portrait that features him in a suit and a bowler hat with a green apple obstructing his face. 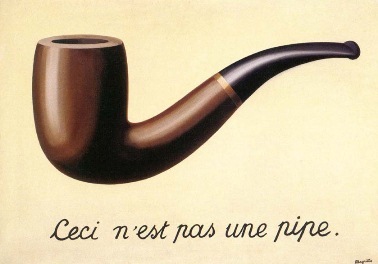 I learned, though, that he’s a Belgian surrealist artist who has a style that is all his own. It’s vivid, it’s sharp, it’s grotesque, it’s shocking, and some of the pieces make you want to look away instantly, but you can’t because you also feel a need to see them more clearly. Because a picture (or a painting, in this case) is worth a thousand words, here are some of my favorite paintings of Magritte’s that I had the pleasure of experiencing. I’ll let them speak for themselves. It's no surprise I’m a nerd, by now right? One of my favorite things to do is analyze data. One of my second favorite things is to absorb data. If you have data, I want to know about it. I’m also a firm believer that the better you’re able to explain something very complicated in a very simple way, the more you probably understand it and the more I will trust that you're correct. I also like pretty things. All of this comes together with Information is Beautiful. Writer/designer David McCandless loves data too. And he too likes pretty things. So he made this website. There are a lot of websites out there that show data on pretty graphics and call it science, but it’s tricky to take them seriously because you don’t know where the data came from or if they’re interpreting things correctly. What I like what Information is Beautiful, is that the data, or at least where it came from, is available for you to see for yourself! (I’ve never taken the time to do this, but it’s nice to know that I could). Now, you wouldn’t be able to make any scientific claims from any of this, but it’s still fun to quickly learn a little bit about your world. I’ve already learned so much! As a former obsessive calorie counter, one of my favorites is this caffeinated drink to food calorie comparison. Vizualizations are the best. I now know without having to even read much that a Frappucino has as many calories as an order of French fries! Neat! Or you can see when people break up the most according to Facebook. Guard your heart right before Christmas and Spring Break, guys. Or save your life by checking out your odds of dying in a plane crash. Another fun fact I learned from this chart is that I have a .000003% chance of dying while blogging right now. Consider me a daredevil. I'm in the middle of Herman Koch latest book, Summer House With Swimming Pool. Koch's previous book, The Dinner, was one of my favorite books of last year. When I first read The Dinner, I knew it only as a wildly popular, controversial book, an international best seller describe as "a European Gone Girl." No one said it was funny. I found it hilariously funny, consistently entertaining - it was a book that I wish I had written. Perhaps it is a coping mechanism, but I tend to find the most horrible things - death, people set on fire, genocide - when delivered in a deadpan, straightforward way, hilarious. On stage my choices run to darkness. Rare is the sketch I pitch that doesn't end with death or murder or wildly inappropriate sexual congress. Reading The Dinner was like connecting with a long lost uncle, a family member cut from the same DNA. The book was a revelation.